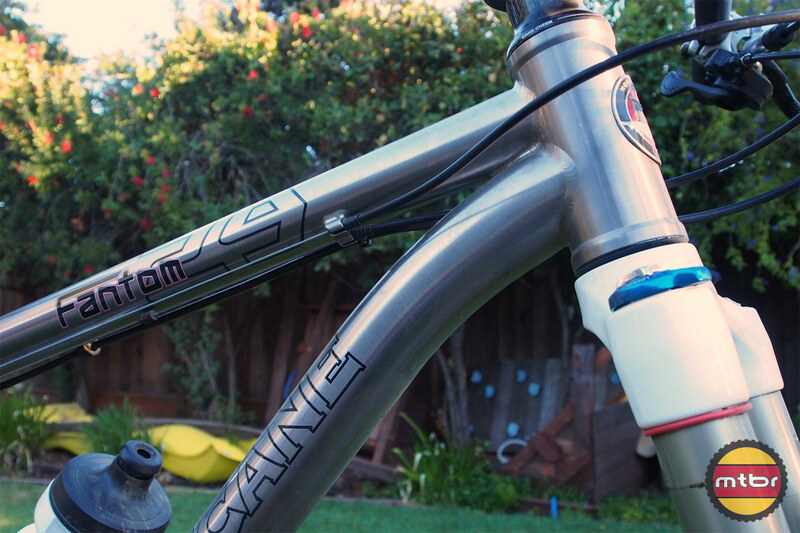 True to form with Motobecane’s core values, components are where they deliver the goods. 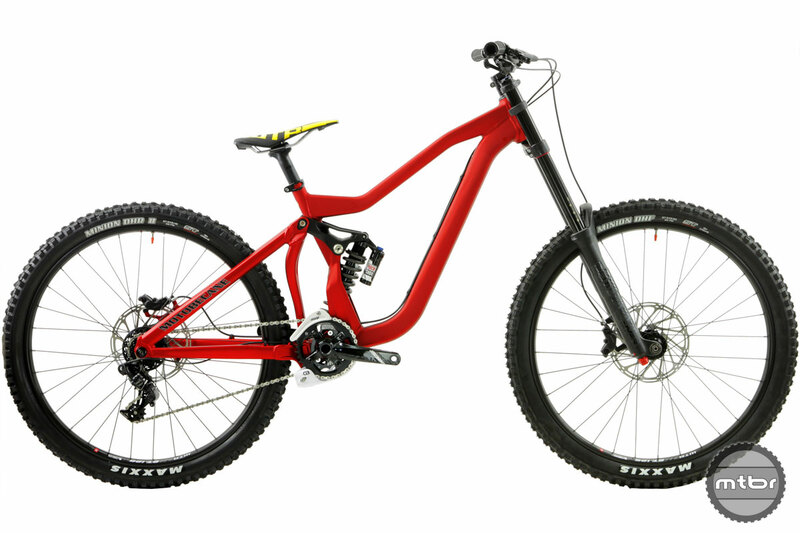 Most bikes in this price range of $2600 are upgrade ready but this one is dialed and ready to ride. 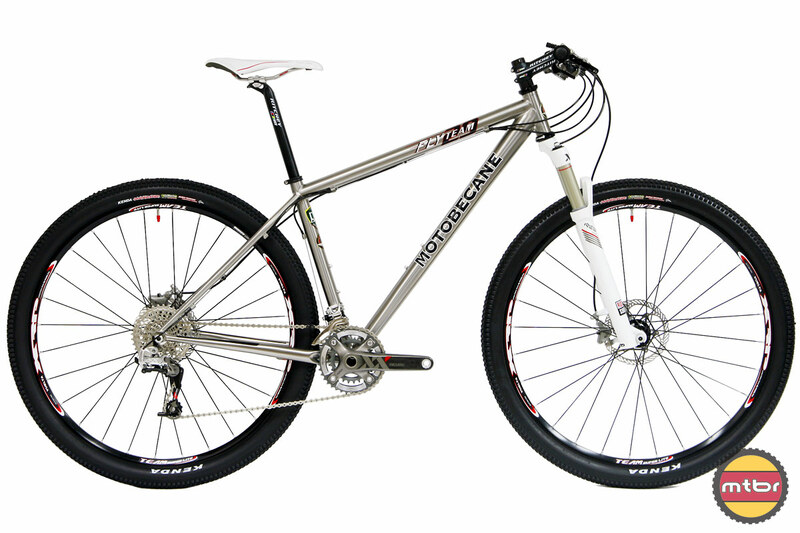 Motobecane is known for offering bikes selling at the fraction of the retail price sum of all the components. Here’s their offering in the DH world. 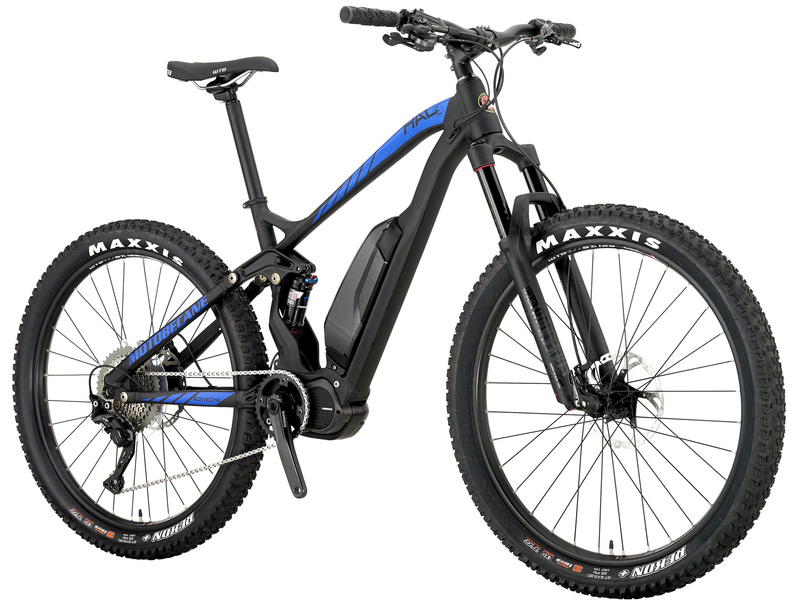 Motobecane has introduced their first ever full suspension eBike, saying they believe more people riding bikes makes the world a better place. 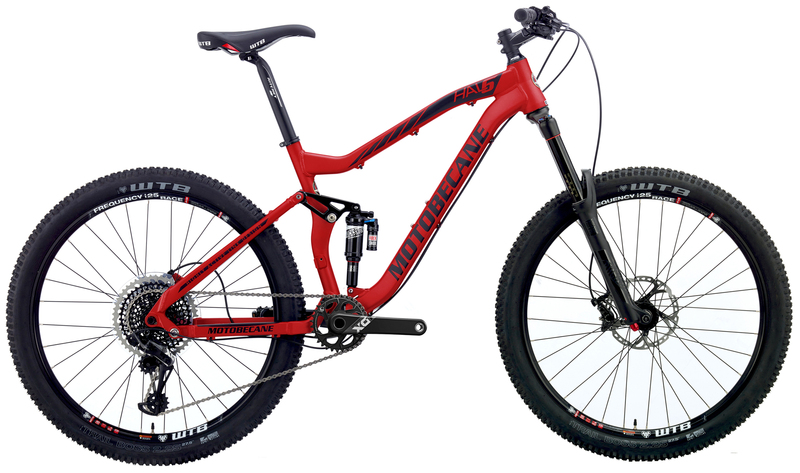 Motobecane has launched a pair of downhill bikes that offer big hit capability at a solid value. 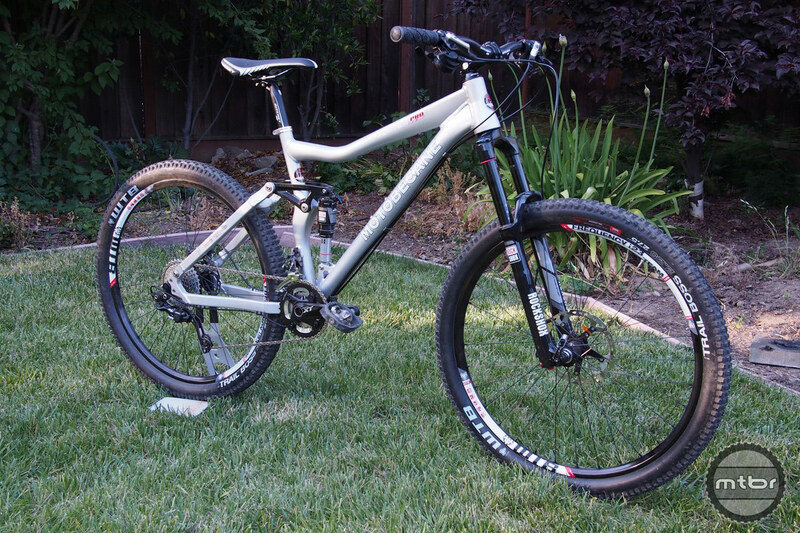 Bikesdirects always seems to deliver bike deals with impressive components. 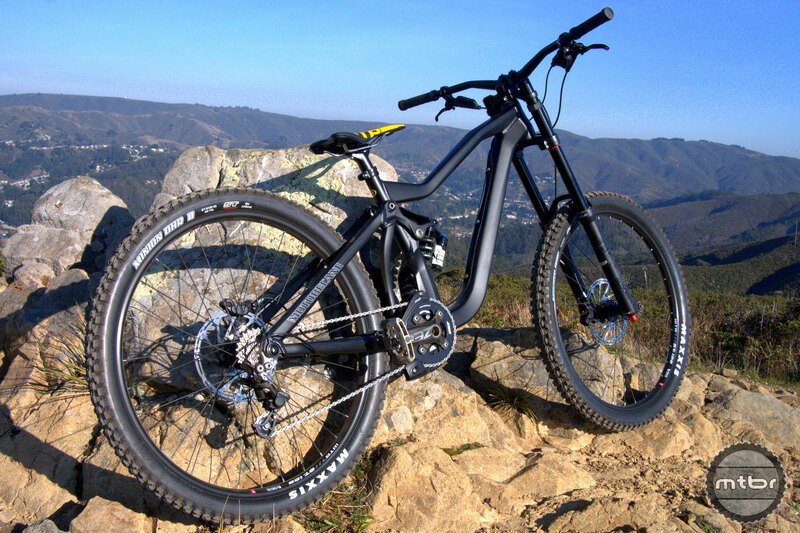 Notable spec on this Hal6 150mm travel bike is ‘Full SRAM Eagle drivetrain’ at a street price of $2500. 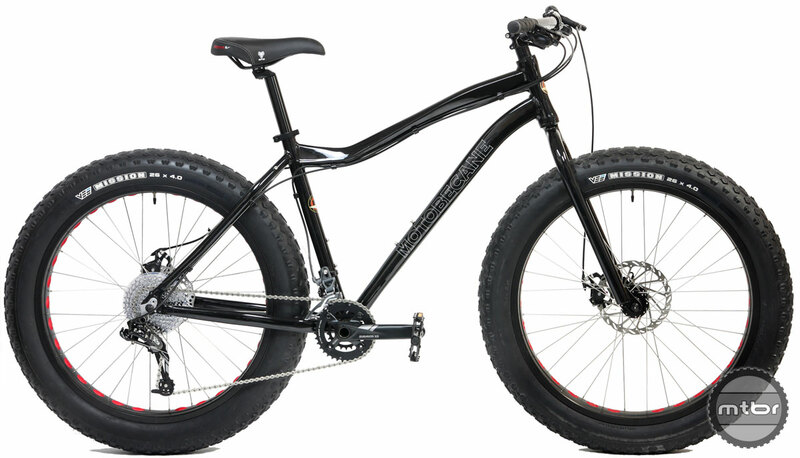 Features of the bikes include WTB TCS tubeless compatible wheelsets, tapered head tubes, front and rear thru-axles, lockout suspension forks, hydroformed aluminum frames, and disc brakes. 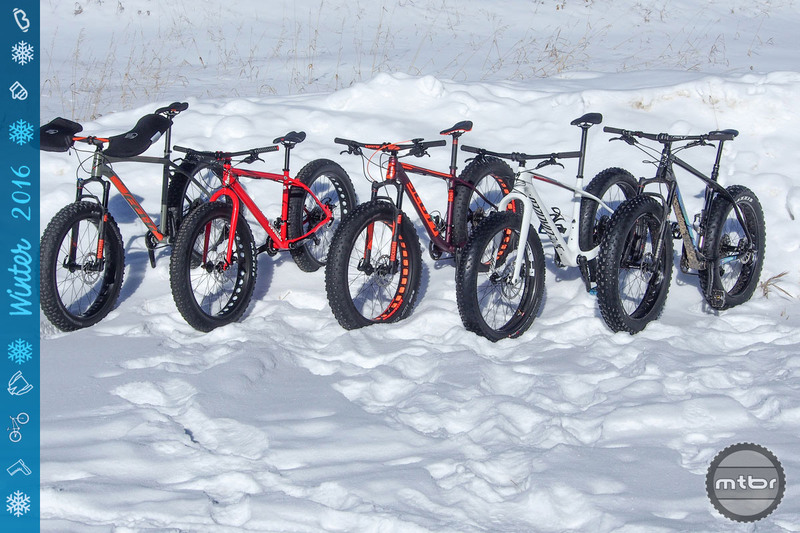 From lightweight racers, to budget friendly cruisers, to do-it-all rigs, these are the fat bikes you need to know about. Motobecane continues to deliver great value with their new NightTrain Bullet. Going with 2×10 Race Face cranks for good range, two to three pounds of weight is now saved by going with a true tubeless compatible setup that is reliable at very low pressures. 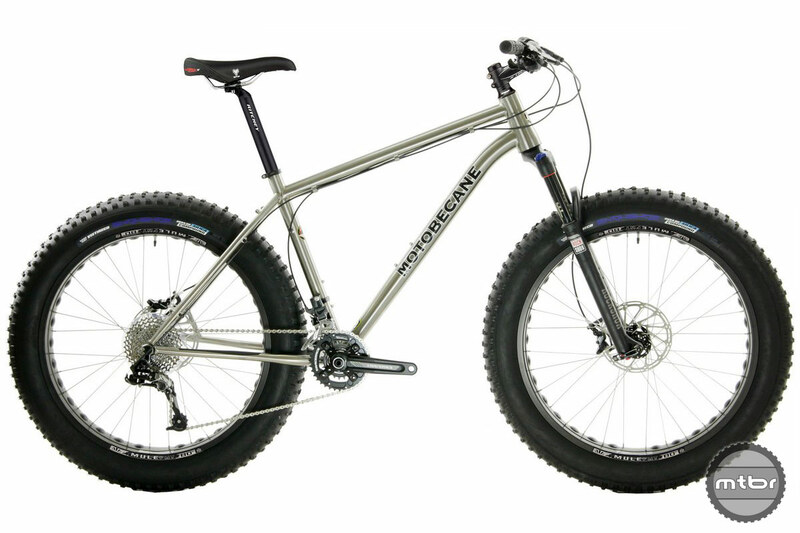 Known for bikes that should cost double given the component specs, Motobecane once again delivers, this time in the titanium fat bike arena. 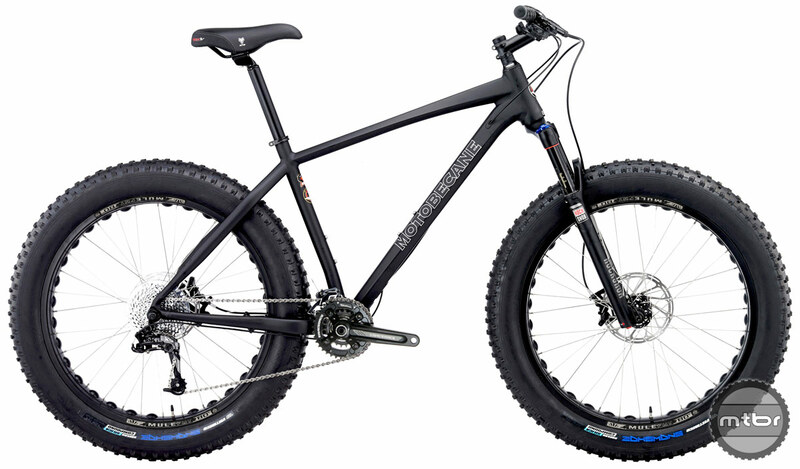 The Sturgis and NightTrain fat bikes deliver well executed titanium frames with the the right build. 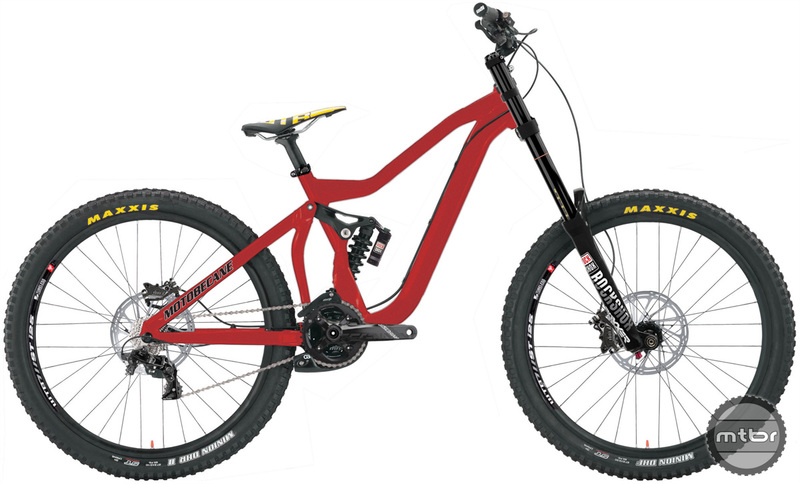 The Fantom 6by6 enters the 27.5 bike arena with an all mountain bike that delivers solid value and top components like the Revelation fork and an XT SLX drivetrain mix. 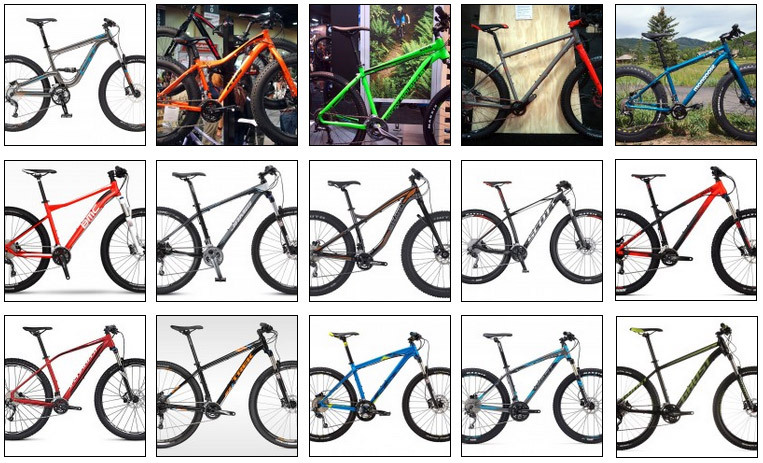 Presenting an incredible line up of new Motobecane USA bicycles for 2015 and beyond. A very attractive package from Motobecane and a whole lot of bike for the money. A few rides in, I’m happy to report that the bike checks out. 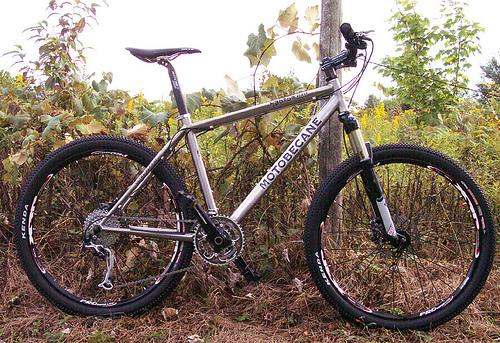 It rides as a proper hardtail should, responsive yet smooth. 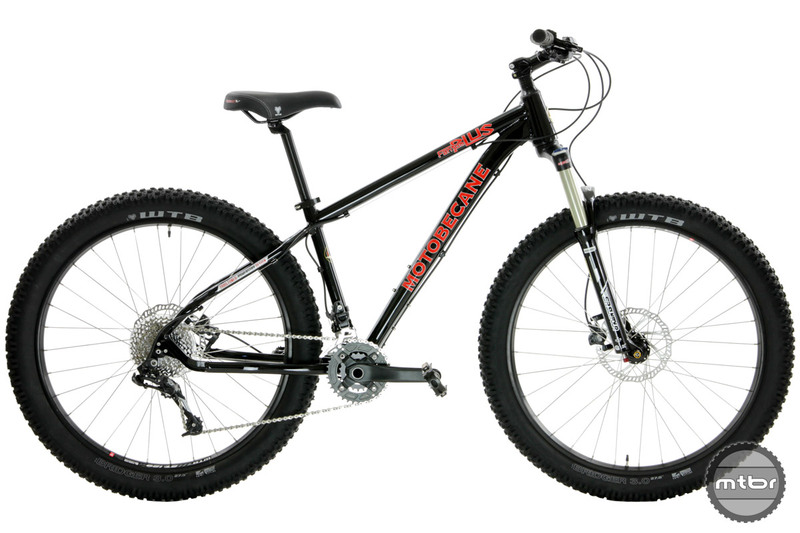 The Motobecane has a stiff front end with its head tube area and it steers accurately with the Rockshox fork.